It is not too early to think about back to school shopping. Go ahead and check out Amazon’s top bargain of the day, 45% off Puma Bioweb Elite running shoes for men and women. There are lots of cool color combinations to choose from. 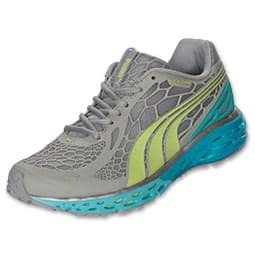 Take a look at the cute pair of Women’s Puma Bioweb Elite running shoes in High Rise/Blue Curacao/Green pictured above. You can grab a pair for only $54.95 (Regularly $100!) with FREE shipping. If interested, do not wait because this deal ends today or while supplies last.